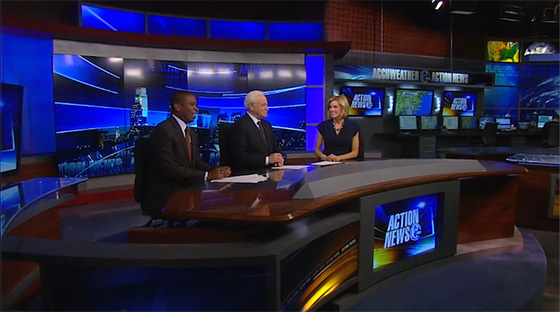 Similar to Boston ABC WCVB-TV, Philadelphia’s ABC updated its Broadcast Design International set with more technology in 2014 (read about the latest set here). The upgrades include a 4×3 monitor array, replacing a backlit graphic panel camera center. Some new backlit panels were also added to the anchor area.